With the Bluetooth remote control mounted in a convenient location on your dashboard you can safely protect important events from being overwritten, without needing to take your eyes off the road. When you capture something on video that you want to save or protect, all you need to do is immediately hit the button. You will see an on-screen confirmation that the video file is locked, also the camera will have 3 beeps sound. How to pair the remote control with A129 Duo camera? The Bluetooth feature is auto enabled in A129. After powered on the camera, you just need long press the button on Bluetooth remote until the LED turns blue. The blue LED on the remote control is for working status indicating. If the LED is dark which means battery is running down, you can replace the CR2032 battery in remote control. If you have already bought the remote control, please check if you have update to the latest V1.3 firmware which improved the stability for Bluetooth connection. 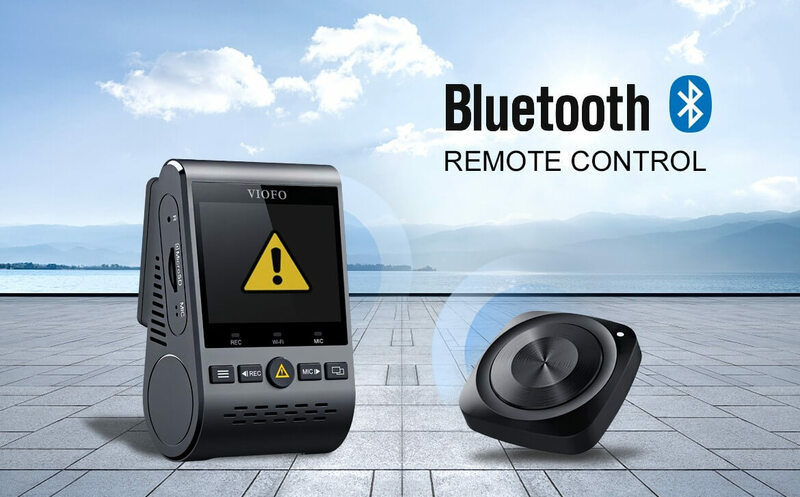 Buy VIOFO Bluetooth Remote Control for A129.